Evan Kline-Wedeen ’18 and Brittany Kaplan ’19 won the 2018 Saul Lefkowitz Moot Court Competition. 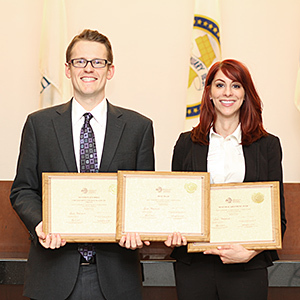 The Chicago-Kent team of Brittany Kaplan ’19 and Evan Kline-Wedeen ’18 won first place in the national finals of the International Trademark Association's 2018 Saul Lefkowitz Moot Court Competition, held in March at the U.S. Court of Appeals for the Federal Circuit in Washington, D.C. Along with their first-place finish overall in the competition, the team earned the first-place award for best oral argument and the second-place award for best brief. This year, students argued a case involving a trademark dispute between a fictional brewpub named Hollywood Hops and a fictional wine bar named Hollywood & Vine. At issue was whether the District Court erred in finding that the wine bar did not infringe on the brewpub’s trademark and whether the plaintiff acquiesced to defendant’s use of the word "Hollywood" in connection with defendant’s sale of wine. Ashly I. Boesche '04, a partner at Pattishall McAuliffe, coached the team, with help from Professor Mickie Piatt, deputy director of Chicago-Kent's Program in Intellectual Property Law. Professor Kent Streseman, director of Chicago-Kent's Ilana Diamond Rovner Program in Appellate Advocacy, and attorneys Sarah Aagaard '15, Cole Garrett '15, Eliot Gusdorf '16 and Kenneth Matuszewski '16, who all previously represented Chicago-Kent in the Saul Lefkowitz Moot Court Competition, helped the team practice. Established in 1990 by the International Trademark Association, the competition is named for the late Saul Lefkowitz, former chairman of the Trademark Trial and Appeal Board of the U.S. Patent and Trademark Office, to honor his contributions to the development of trademark law and to the education of the trademark bar. The late Dolores K. Hanna ’52, an influential trademark attorney and former INTA president, was instrumental in establishing the competition. The best brief award is named in her honor. Teams from Chicago-Kent placed second in the national competition in 2016 and finished in fourth place in 2014 and 2017. 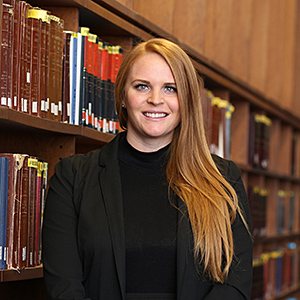 Meaghan Fontein, a third-year Chicago-Kent student, has won the International Trademark Association's 2018 Ladas Memorial Award for her article "Digital Resurrections Necessitate Federal Post-Mortem Publicity Rights." 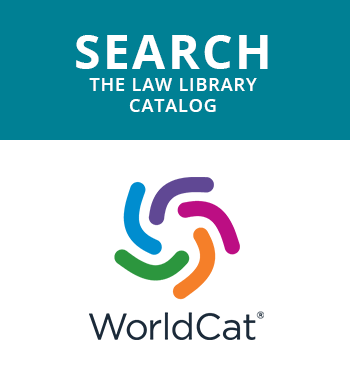 Each year, two law or graduate student authors from a worldwide competition are selected for the award, which honors the best papers on trademark law or related matters. In her award-winning article, Meaghan addresses the recent phenomenon of "digital resurrections" and the lack of intellectual property protection for misappropriating a deceased celebrity's likeness. She wrote the paper under the guidance of Professor Graeme Dinwoodie, the Global Professor of Intellectual Property Law, for his spring 2017 seminar on Advanced Trademarks. The article was published in the September 2017 issue of the Journal of the Patent and Trademark Office Society and is under consideration for republication by The Trademark Reporter, the legal journal of the International Trademark Association. Last year, Meaghan, along with her teammates Catherine Larson '17 and Francyn Brown '18, won the 2017 Saul Lefkowitz Moot Court Competition's Chicago regional championship and regional best-brief award. The team placed fourth overall in the national finals and had the third-place best brief. This year, she and her teammate, Samantha Ruben ’19, reached the final four at the 2018 Evan A. Evans Constitutional Law Moot Court Competition. 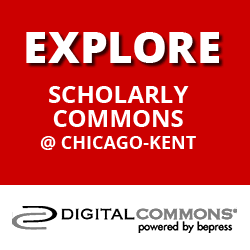 At Chicago-Kent, Meaghan is a research assistant for The Free Internet Project, founded by Professor Edward Lee, director of Chicago-Kent's Program in Intellectual Property Law. She is a member of the law school’s Moot Court Honor Society and serves as vice president of the Art and Cultural Property Law Society. In 2016, she was a summer associate at the law firm of Ruberry, Stalmack & Garvey LLC. Currently, she is a law clerk at the law firm of Adler, Murphy & McQuillen LLP. Professor Graeme Dinwoodie gives a lecture on “The Future of Design Copyrights?” at the launch celebration for Chicago-Kent's new Center for Design, Law & Technology. Launched in 2018, Chicago-Kent’s new Center for Design, Law & Technology (cDELTA or c∆ for short) hosted a busy line-up of public talks during the spring semester. c∆ promotes research, scholarship, and instruction at the intersection of creativity, technology, design, and the law. “I couldn’t be more excited about working on an initiative than I am in building a design center at Chicago-Kent,” said co-founder Professor Edward Lee. 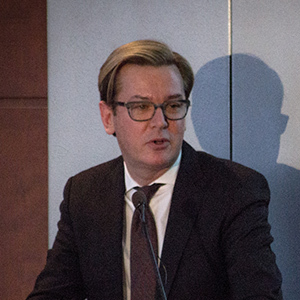 In February, Chicago-Kent celebrated the launch of c∆ with co-founder Professor Graeme Dinwoodie’s lecture on “The Future of Design Copyrights?” Professor Dinwoodie analyzed the Supreme Court’s controversial Star Athletica decision, which deals with the test of separability for useful articles. Notre Dame Law School Professor Mark McKenna, a research affiliate of c∆, offered a reply to Professor Dinwoodie’s remarks. The lecture drew members from the business, design, and law communities. After its launch, c∆ hosted a series of lunch talks both at the law school and at Illinois Tech’s Institute of Design. Professor Christopher Buccafusco of Cardozo School of Law and Professor Jonathan Masur of the University of Chicago Law School gave a workshop talk on their paper (co-authored with Professor Mark Lemley of Stanford Law School) on “Intelligent Design.” In their talk, they argued that costly and doctrinal screens in how copyright law and design patents respectively protect designs are inefficient today and should be changed to strike a better balance of the law’s needs for incentives and competition. c∆ also hosted two BookIT talks in the IP Program's annual series of hosting authors of recent books in law, technology, design, and business. Professor Orly Lobel of the University of San Diego talked about her fascinating book You Don't Own Me: How Mattel v. MGA Entertainment Exposed Barbie's Dark Side, which chronicles the decades-long intellectual property litigation brought by Mattel, the maker of Barbie, against MGA Entertainment, the maker of the successful Bratz dolls, designed by Carter Bryant, who had once worked for Mattel. The center’s events for the school year concluded with a BookIT talk by Christopher Carani, one of the leading attorneys in design protection in the United States and a partner at McAndrews, who was the lead editor of Design Rights: Functionality and Scope of Protection, recently published by Wolters Kluwer. The book provides a comparative review of the design laws and approach to functionality in 27 different jurisdictions. During his talk, Carani gave students helpful tips on practicing in design protection based on his years of experience. During the awards ceremony, James Wilson of the USPTO presented certificates of distinction to 14 attorneys who contributed more than 50 hours of pro bono service to low-income inventors in 2017. The Chicago-Kent Patent Hub hosted its first awards night on April 5 in conjunction with the United States Patent and Trademark Office. James O. Wilson, acting regional director for the Elijah J. McCoy Midwest Regional Office of the USPTO, praised the Patent Hub and its director, Mary Anne Smith, as a great success story. 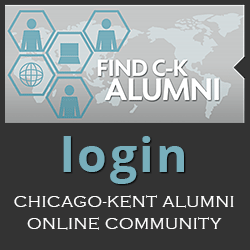 The Chicago-Kent Patent Hub is a part of the USPTO’s initiative under the America Invents Act to facilitate the provision of pro bono representation to low-income inventors who seek to file a patent for their inventions. Under the leadership of Director Smith, the Patent Hub has achieved impressive results in helping low-income inventors find pro bono assistance. In two years, the Chicago-Kent Patent Hub has processed over 430 applicants and interviewed 275 inventors. The Patent Hub has successfully placed 84 inventors with attorneys, who have donated over 3,135 hours of their time in assisting the inventors pro bono. Nearly 70 patent applications have been filed, including 49 non-provisional applications. The USPTO has granted five patents to inventors assisted via the Patent Hub thus far, with two more grants expected in the near future. During the awards ceremony, Wilson presented certificates of distinction to 14 attorneys who contributed more than 50 hours of pro bono service to low-income inventors in 2017. The Patent Hub also recognized six law firms that contributed more than 100 hours of pro bono service in 2017: DLA Piper LLP, Faegre Baker Daniels LLP, Foley & Lardner LLP, McDonnell Boehnen Hulbert & Berghoff LLP, Neal Gerber & Eisenberg LLP, and Quarles & Brady LLP. The Patent Hub is funded by Chicago-Kent with some assistance by the USPTO. In addition, the firms DLA Piper LLP, Faegre Baker Daniels LLP, McDonnell Boehnen Hulbert & Berghoff LLP, and Quarles & Brady LLP and alumnus Ward Parkinson '97 have donated to the Patent Hub to support its work. For more about the Hub or to get involved, visit www.kentlaw.iit.edu/patentprobono. The Patent Trial and Appeal Board Bar Association and the Chicago-Kent Journal of Intellectual Property (“Journal”) have partnered to establish a new online platform for PTAB Bar Association members to submit scholarly articles on PTAB-related topics. The Journal is now the official law journal of the PTAB Bar Association. 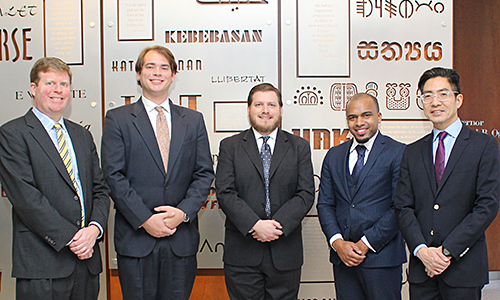 The idea of creating a platform for PTAB Bar Association members to publish their articles was sparked in 2016, when then Editor-in-Chief Dan Gjorgiev '17 and PTAB Bar Association Communication Committee Chairman Joshua Goldberg, a partner at Finnegan, began discussions of forming a collaborative effort to have the Journal become the official publication of the PTAB Bar Association. 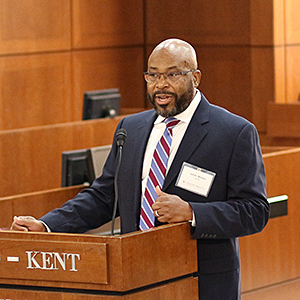 In the fall of 2017, the collaboration was officially announced by Goldberg and Editor-in-Chief Luis Polanco '18 at Chicago-Kent’s The Power of PTAB Conference. The partnership between the PTAB Bar Association and the Journal is an innovative collaboration between a leading organization of legal practitioners and an academic law journal, and further cements Chicago-Kent’s leadership in intellectual property studies. Professor Greg Reilly serves as faculty advisor to the PTAB section of the Journal, and Christopher Geyer of Williams & Connolly LLP is the Editor-in-Chief of the PTAB Bar Association's editorial board. Also serving on the PTAB Bar Association's editorial board are Dan Gjorgiev of Lee Sheikh Megley & Haan LLC, Joshua Goldberg of Finnegan, John Phillips of Fish & Richardson PC, Jonathan Stroud of Unified Patents Inc., Jordan Rossen, and Kenneth Weatherwax of Lowenstein & Weatherwax LLP. Polanco and James Mitchell '18, managing editor of the Journal, oversaw the student editors involved in the cite-checking and publication process, and all involved helped to ensure a successful and on-time publication.